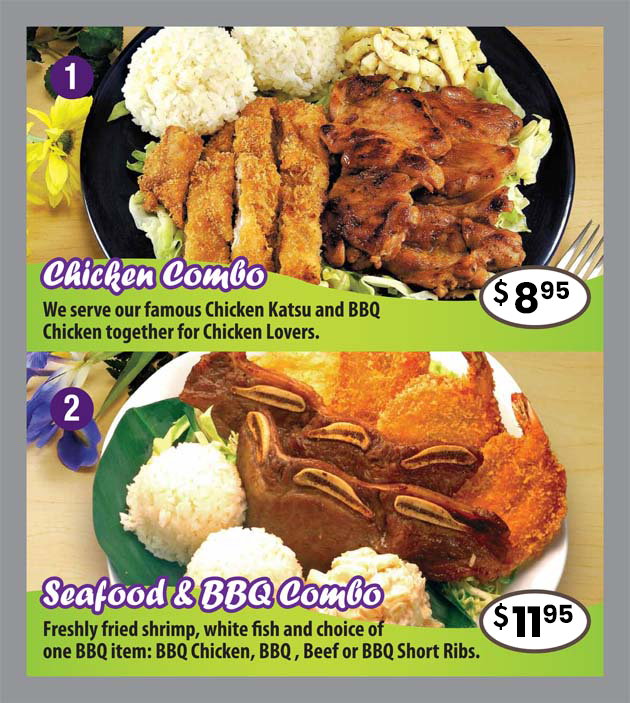 We serve our famous Chicken Katsu and BBQ Chicken together for Chicken Lovers. 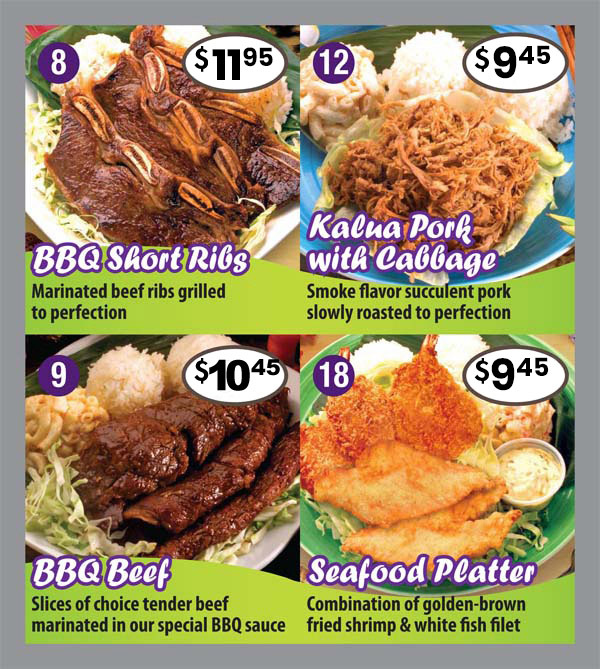 Freshly fried shrimp, white fish and choice of one BBQ item: BBQ Chicken, BBQ, Beef or BBQ Short Ribs. A plate lunch is a classic Hawaiian meal composed of an entrée or combination of entrées, served with rice and macaroni salad on the side. 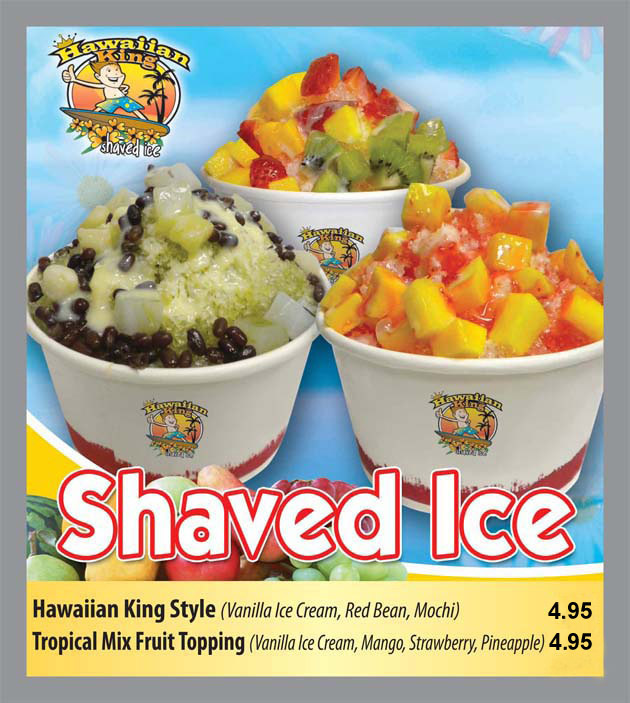 It is a meal of choice and a great representation of multitude of cultures found in Hawaii, such as Hawaiian, Chinese, Japanese, Korean, Filipino, and American. 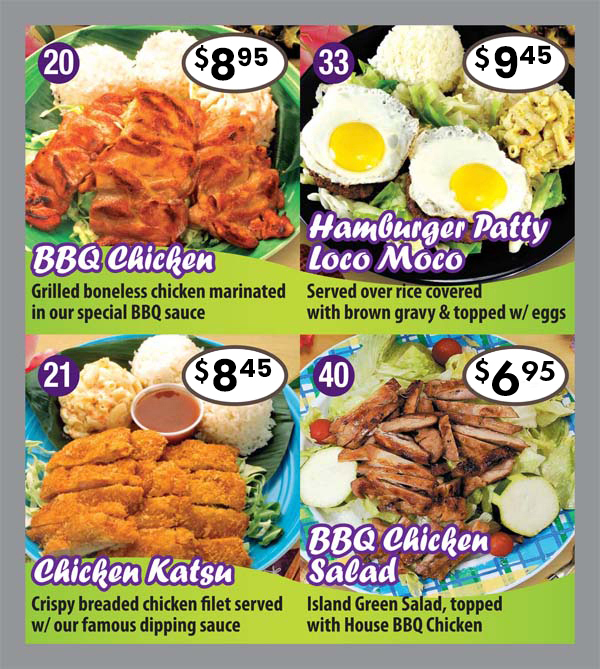 The plate lunch served with entrée such as Chicken Katsu, BBQ Short Ribs, White Fish, Teriyaki Chicken or Beef, Kalua Pork, BBQ Chicken or Beef, and Salads. and BBQ Chicken together for our Chicken lovers. Tastes delicious!!! Freshly fried shrimp, White Fish and choice of one BBQ item. carrots and onions. Not too spicy, but tastes delicious!!! Slices of choice tender beef, marinated in our teriyaki sauce, grilled to perfection. Smoke flavor succulent pork slowly roasted to perfection. 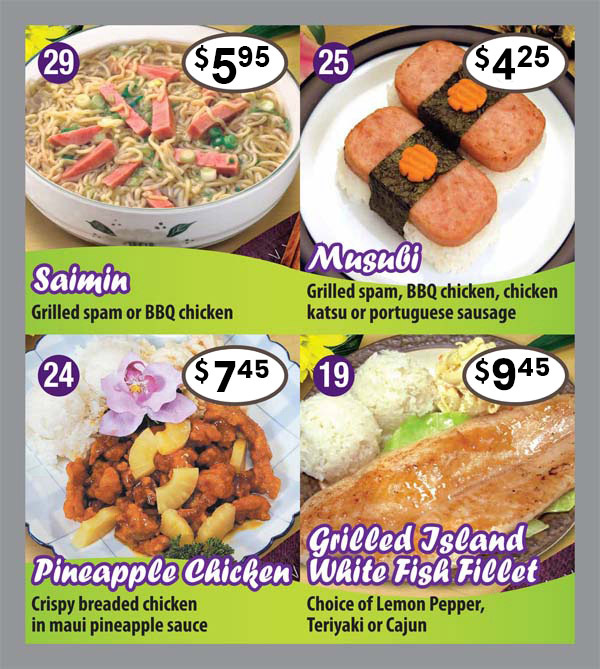 Served with steamed rice and mixed vegetables, topped with teriyaki or curry sauce. golden brown perfection. Tastes delicious!!! and White Fish Filet. Truly a seafood lover’s delight! served with our famous katsu dipping sauce. Chicken Katsu with a blend of potatoes & carrots in a rich House Special Curry Sauce. Crispy breaded chicken in Mauni Pineapple Sauce. prepared broth. Try it and you will love it. Choice of meat served over rice covered with brown gravy and topped with eggs.